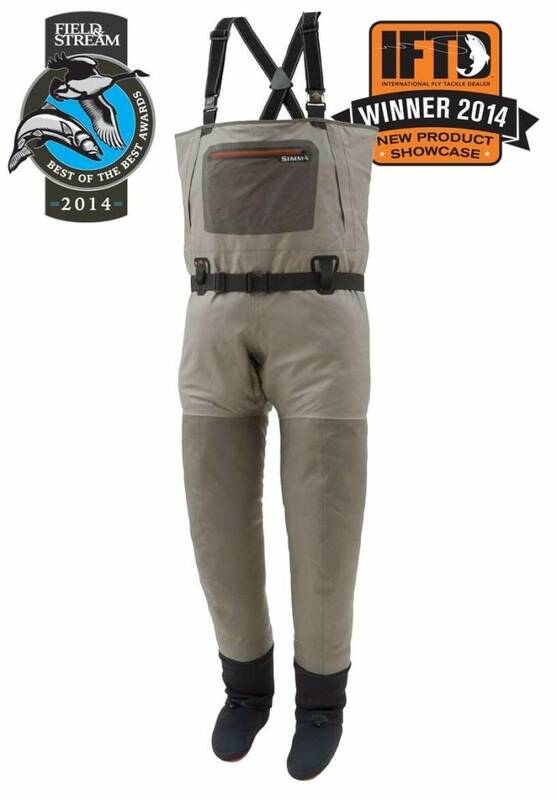 Powered by 25-percent more breathable GORE-TEX® 5-layer Pro Shell fabric, Simms’ G3 wader just got revamped for a lifetime of in-river marching orders. Wrap raw hands in the convenience of a reach-through warming pocket with stormflaps and micro-fleece lining, then reach for everything you need for successful fishing missions via an intuitive zippered chest pocket design, with integrated utility tabs that house an arsenal of in-river essentials. Patented front and back leg seam construction delivers an articulated fit that fights wear zones, bolsters wader longevity, and maximizes mobility either in the drift boat or hiking for riches well beyond road’s end.